A range of Industrial Gases, Cylinders & Accessories we offer, are synthesized and fabricated with the most advanced technologies. The gases are pure, effective, stable, possess appropriate PH values and are used for varied purposes. The cylinders have sturdy structures and made of high graded metals and alloys. These cylinders are leak proof and are completely safe. We preserve and protect gases and cylinders with utmost care in warehouses. The gas cylinders are easy to carry and install and the gases are highly effective and efficient. We offer these products at industry leading prices. 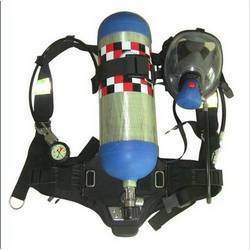 We are known for making Air Breathing Apparatus and exclusive one that is used for fire fighting, chemical industries, shipping industry, petroleum, mining and laboratories, The properties that they possess in offering the most effective protection from toxic gases have created demand in the industry and are mainly used by firemen and emergency rescuers. The apparatus offers free flow of air and is the ultimate protection equipment from all hazardous gases and chemicals. These are offered at industry leading prices. 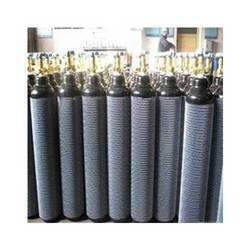 We are engaged in supplying of Medical Oxygen Cylinders, which are used for various industrial applications. These are portable medical oxygen cylinders for emergencies/first aid, extremely handy & easy to use. Made under guidance of our expertised workers to provide our client with finest quality to match there expectation level. 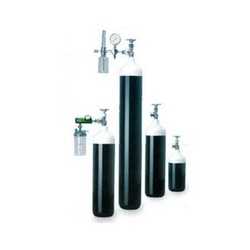 Bull Size Medical Oxygen Cylinder for use with pipeline/ward/boyles anaesthesia machine/general use. These cylinders are specifically made and acclaimed in the market for the high pressure supply and quality that we offer. We are developed in international standards and meet all the norms perfectly. This equipment have the nominal service pressure that ranges from 8 Kpa to 40 Kpa. The cylinders are offered at industry leading prices. With an industrial experience, we offer a wide range of Pressure Regulators that is developed from 316 grade stainless steel and brass, sourced from reliable vendors. These Pressure regulators are precision engineered and are in high demand for accuracy, reliability, durability and high performing abilities. 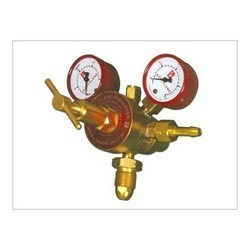 Single Pressure Regulator and Double Pressure Regulators are the two types of regulators that we offer. These valves which regulate pressure are used for Special and liquidable gasses. Available in standard options, these regulators are availed by our clients at industry leading prices. 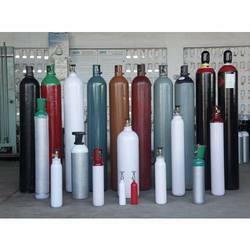 We are engaged in offering a range of High Purity Gases Cylinder which conforms to international standards of quality and composition. Our gases are formulated with advanced technologies, by a professional team. Purity, safety, stability and reliability being the hallmarks of our gases, we have garnered a huge clientele and our customers are ever growing as our prices are competitive. Addition feature which has made our gases popular are the retention of chemical properties in them, thus being very effective in a number of industries. Color: white, black, grey etc. Gases like Oxygen and Nitrogen are filled in seamless Nitrogen Oxide Cylinders at high pressure. Such cylinders are also subjected to various weather conditions and handling during use at consumer's place as well as during transport, loading and unloading. These cylinders are made with expert guidance to give you high quality and better satisfaction. Available in standard options, these cylinders are availed by our clients at industry leading prices. 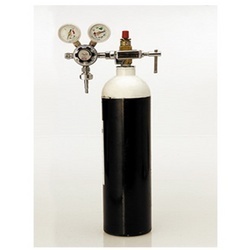 Looking for Industrial Gases, Cylinder & Accessories ?